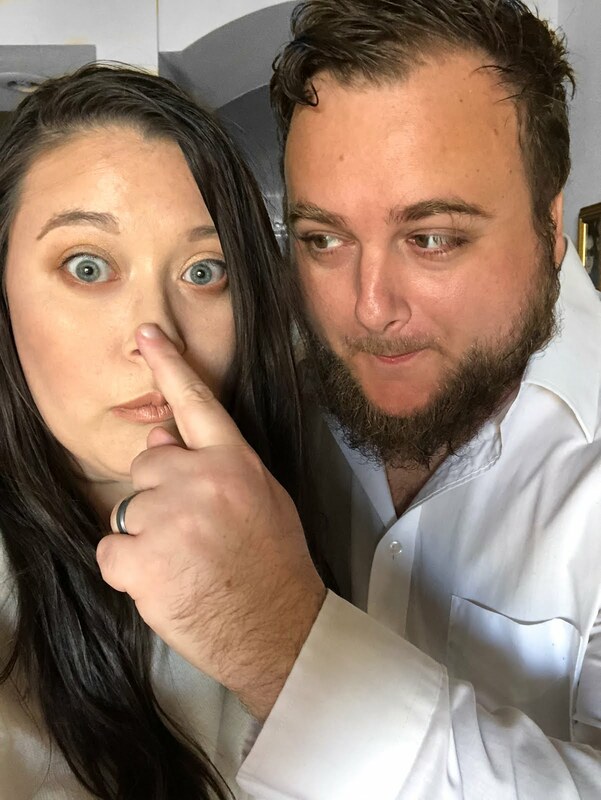 It's officially the first DIY in our new AZ home! And it's an easy one, folks! Grab a white, ceramic mug from any particular store your prefer. I got mine from IKEA for $0.99! All you need? Mug, sharpies, an oven, and some creativity! For my first mug, I didn't want to go TOO crazy! 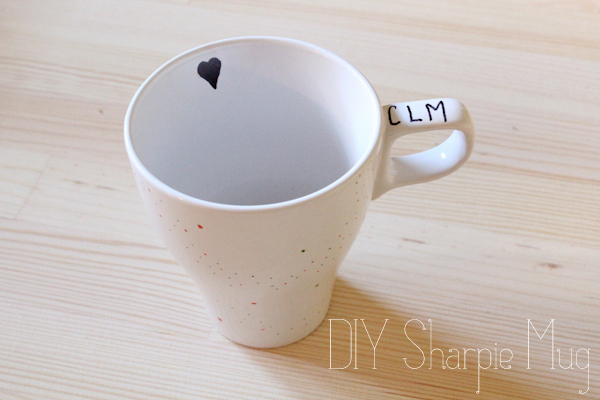 One thing I especially like about this project is it allows for mistakes--the sharpie can easily be wiped off right after you draw on the mug, so you can change your mind if you immediately don't love something you just tried! Draw on your mug with your sharpie until your heart is content, and then preheat your oven to 350. Bake your mug on the center rack for 30 minutes. And you're all done! 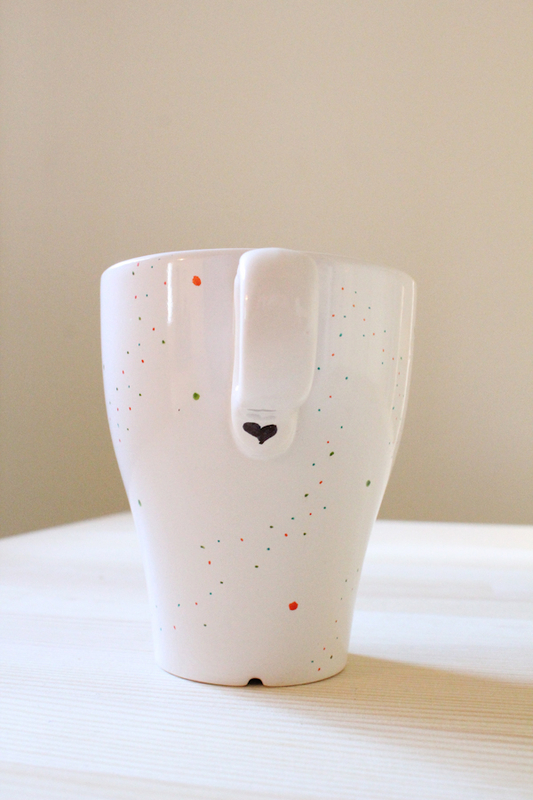 You now have a DIY mug to enjoy your coffee or tea in! Cute mug! Dropping in from Tell me Tuesday.